By Blanche Jillbaine, Special To The Brutal Times – My co-worker is a noisy eater. Did you ever have a noisy eater as a co-worker? I’ll bet you did! Even though now I’m away from my cube during winter vacation for the Baby Jesus, I’m plagued by memories, images, of the co-worker. The co-worker (I don’t keep track of names, sorry) had sat next to me. The desk was situated aside mine. Even then it was before lunch hours, but said co-worker opened his satchel to reveal assorted verboten snacks. “So rude,” I commented, brushing my shoulder-length permed mane briskly to endouble my annoyance. “‘S your ‘prob?” this animal said to me. A blob dangled from its’ mouth. At then the supervising machine had entered the cube area so combat had to be suspended. However by end of work day my fury gushed and explode. “What are you doing…that’s my car!” the co-worker asked to me. I had scratched my name in bold into the left front door. Noisy co-workers must be destroyed before they become radicalised. I for one, sign on to destroy noisy-eaters near my desk. This entry was posted in Ordinary People and tagged home vengeance, my co-worker is a noisy eater, noisy eaters.co-workers, office fun, Ordinary People, the brutal times. Bookmark the permalink. I wish I had the courage to stand up for my loud eating conviction the way you have Blanche. 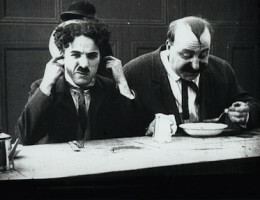 ps: Don’t wear earplugs when you eat to block out the sound of your own chewing, it amplifies the sound in your own head.